Can you believe it? Over 3 months of heavy flow and it’s still going. It’s a Southern Steelhead’s dream come true. A red carpet is laid out from the ocean to the headwaters. Come on in and spawn in the last pristine watershed in Southern California. The best part for surfers is all the sediment and rocks being added to the near shore reef. Just give it a couple south swells and the a-frames are gonna jack up to perfection. The only down side to this watery gift is that the entire estuary and surrounding wetlands are sopping wet like a huge sponge—perfect mosquito breeding grounds. With the last few days of hot weather, the little buggers have gone crazy with spring fever. Make sure you bring the DEET (repellant) or cover yourself from head to toe. You’ll also need a bandana to keep them out of your mouth. Yes, it was that bad on Friday (4/1/11) night. 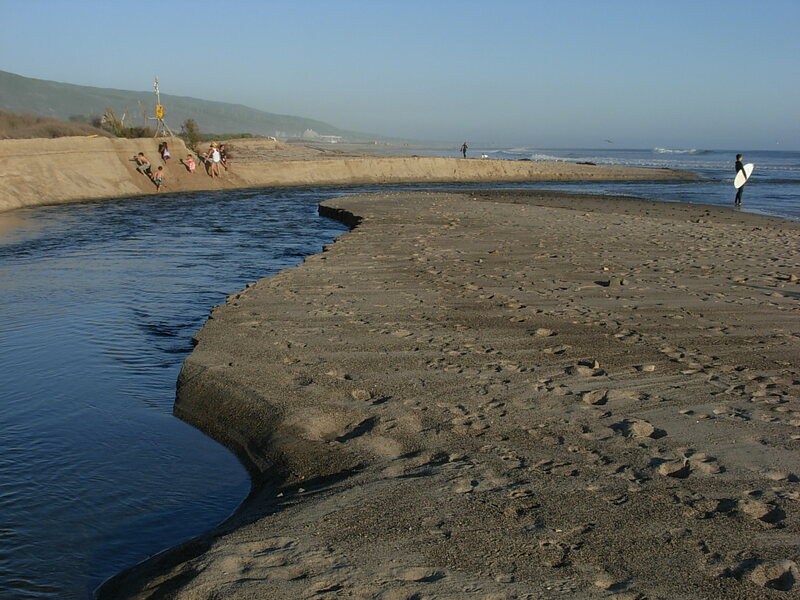 Hopefully, the vector control district gets a chance to treat the area soon, or sharks may not be all we need to watch out for at Trestles. All told, it’s great to have the fresh water this year. It makes everything come alive.